Cybersecurity solutions are being increasingly used across various public and private enterprises in order to ensure protection of critical personal and financial information, to mitigate risks and to establish comprehensive protection against any form of cyber-attacks. The global cybersecurity market is expected to grow at a double digit CAGR from 2018 to 2023, leading to global revenue of USD 193.76 Bn by 2023. Depending on the various types of solutions available in the market, the global cybersecurity market has been classified into IAM (identity and access management), encryption, governance, risk and compliance, UTM (unified threat management), and SIEM (security information and event management). Among the different solution types, demand for encryption is anticipated to be the most promising in the coming years. This is due to its increasing adaptability across various telecom and IT verticals in order to protect information stored on clients' devices and to use it on the cloud without the risk of being hacked. 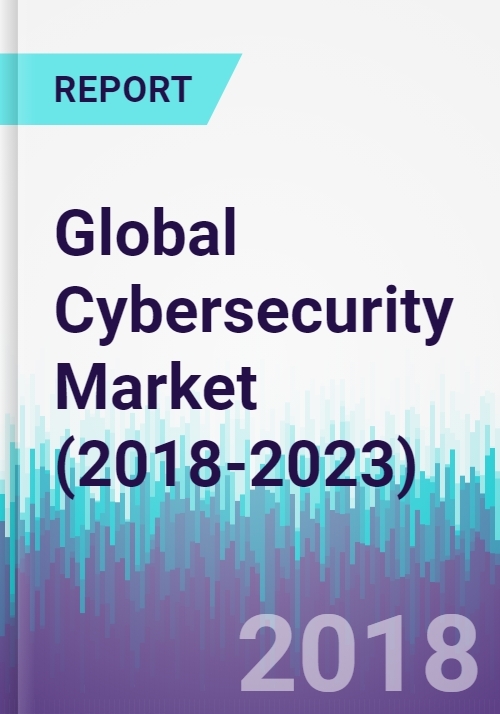 In addition, demand for cybersecurity products and services from various end use industries including aerospace and defense, financial service sector, telecommunication sector and healthcare industry among others is also provided in this report. Demand for cybersecurity products and services in the financial service sector held the largest market share in 2016 and is anticipated to maintain its dominance during the forecast period. Moreover, the cross-sectional analysis of all the above mentioned segments across different regions such as North America, Asia Pacific, Europe, Latin America and Middle East and Africa has also been provided within the scope of the research. Geographically, North America dominated the global cybersecurity market and was majorly driven by the U.S. in 2016. Increasing dependency of various enterprises on different information technology devices and the delicate nature of digitally stored data is expected to raise the stakes for different cyber-attack cases where financial gain is the major motive. This in turn, is anticipated to trigger the adoption rate of cybersecurity products and services across different end use industries in the coming eight years. In addition, in order to encounter the problem of more sophisticated cyber-attacks, different solution providers are also engaging in research and development to develop technologically advanced next-generation security solutions. Despite so many factors having a positive impact on the growth of the global cybersecurity market, the availability of generic cybersecurity products along with the limited cyber security budgets of various end-use industries is one of the important factors anticipated to deter the growth of the cybersecurity market to some extent during the forecast period. Some of the major players having a strong foothold in the global cybersecurity market includes Symantec Corporation, Check Point Technology Ltd., Paloalto Networks, Fortinet and FireEye among others. 1. Overview of the cybersecurity market. 2. Current market demand along with future expected demand for cybersecurity from various sectors including aerospace and defense, financial service sector, telecommunication sector and healthcare industry, among others. 3. Current and forecasted regional (North America, Europe, Asia-Pacific, Latin America, Middle East & Africa) market size data for the cybersecurity market. 4. Current and forecasted market size data for IAM (identity and access management), encryption, governance, risk and compliance, UTM (unified threat management) and SIEM (security information and event management). 5. Analysis of Company profiles of major public and private players operating in the market. 7. Key opportunities in the cybersecurity market. 8. Market trends in the global cybersecurity market. 9. Value chain analysis in order to emphasize on preventing waste, optimizing available resources, and contributing towards sustainability. 10. Market attractiveness analysis in terms of regions in order to furnish the competitive advantage of one region over the other. 11. Market positions of key players across different regions in 2016. 1. Understand the demand for cybersecurity products and services to determine the viability of the business. 2. Determine the developed and new markets where cybersecurity is utilized. 3. Formulate a product market strategy based on the position in the value chain to determine the optimal product/service placement. 6. Define the competitive positioning by comparing the products and services of the key players in the market.